IS THIS LENNAR'S IDEA OF QUALITY, VALUE, & INTEGRITY? amount of construction defects and shoddy construction. and a boarded up front door. 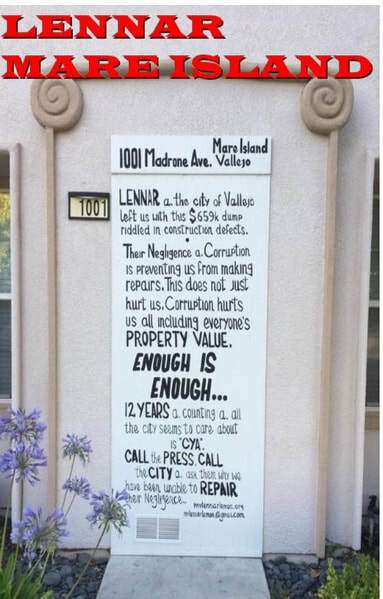 Lennar’s Realtor Jody Evans, did nothing to help. She was just gone, leaving us hanging. were brought to their attention and dismissed. received nothing for any of the documented construction defects. Leaving us stuck with this Lennar Lemon?